The way to get business and find new customers used to be all about your physical location. Now it’s all about your location on a Google search. You’re not just competing against the store a few blocks down; your competition can be located anywhere from New York to London to China. The internet has forever changed the way we shop, do business, even communicate. The first thing small businesses did to stay in the game was to maintain websites. They started selling their product and providing information and services all online. This allowed them to spread their business farther than any physical location allowed. Now they have taken it a step farther and started blogging. Blogging is quickly becoming the most popular way for small businesses to strengthen their customer base and their reputation. It is becoming a necessary part of every small business. Unfortunately, it is also becoming the quickest and most sure-fire way to lose customers and hurt your reputation. Many small businesses start blogging before they take time to understand the how, what, where, why and when of blogging. These 5 questions should be the basis of your blog. The answers to them will determine everything your blog will accomplish. While many seasoned bloggers understand the importance of these questions and know these answers like the back of their hand, some newbies just don’t get it. Not understanding these questions leads business owners to make mistakes that can cause them to lose customers, business and a good reputation. The following tips will help small businesses owners realize what they are doing wrong and what they need to change. The “why” is the most important question you should ask yourself. Why are you starting a blog? The purpose of your blog should be to show that you are the leader in your industry. You are the ones with the knowledge and expertise customers are looking for. Your articles should prove that. Don’t start one just because your competition is. Many small business owners get caught up in the importance of getting something posted that they forget why they started posting in the first place. Don’t get lost in your blog. It is your voice to the world. Before you start blogging, sit down and review your company’s mission statement. Find out how a blog will help you accomplish your goals and then write a mission statement for your blog. Always keep that in mind. Every change you make, every article you post should be getting you closer to achieving your goals; if it’s not then don’t do it. It’s as simple as that. If you can’t see how a certain action will influence your company for the better, then rethink what you’re doing. Know your blogging platform. Many business owners make the mistake of learning just enough about posting to get by. You should never settle for just getting by. Try new things, experiment with different plugins, add images, find out what works for you and your customers. There are so many options out there that can enhance your blog. You need to learn everything you can and take advantage of these opportunities. If you find yourself to be a little technology challenged, you can either hire someone to do the job and teach you how to do it or you can just find out if one of your current employees knows about blogging. Have them show you the ropes so you understand what can be done. Deciding what to blog shouldn’t be very hard, but unfortunately many small businesses get so caught up in it that they start blogging about everything. As stated before, your blog should prove that you are a leader in your industry. It should show potential customers that you are the one to go to when they have a question. Decide what your niche is; it should be based off of your products or services you provide. If your business sells pet products, you probably shouldn’t be posting your favorite chicken cordon bleu recipe. When accepting guest posts make sure they follow your niche. You should also decide if you want to post articles that are controversial. If you don’t want to offend any of your readers you might want to avoid writing about politics, religion or issues in the news. Base what you post off of the readers you are targeting. This will not only determine the type of articles you write but also the language you use. Guest posting is a great way to get backlinks and lead people to your site. As stated before, your goal should be to show you are the top dog in your industry, try to guest post on blogs that are similar to yours. Don’t lose focus of why you started blogging in the first place. There are many blogs out there that only post when they remember or feel like it. This is a huge mistake because your readers don’t ever know when to expect an article. If they read something on your blog that they like, they will begin to check it regularly. If they are unable to count on you posting at certain times, it becomes a guessing game and they will lose interest. The way to fix this is by deciding how often you want to post and set a day and a time to post on. If you want to post every day, that’s great. Plan a week in advance so you are always ready for an article to go out in the morning. If you only want to post once a week, set a day and stick to it. If you decide on Wednesday, you should always post something on Wednesday. Let your readers know when you will be posting. Be reliable. Having a blog is a great move for any small business owner. But you have to stay on top of it. Don’t make the mistake of putting your blog on the backburner or downplaying its importance. It is a tool just like any other business strategy. Be active in your blogging. 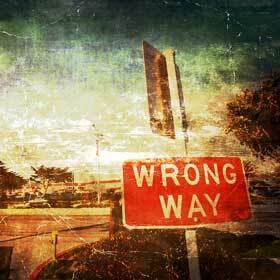 Avoid these common mistakes and you will find that blogging brings great results.